Have you ever wondered what your barista is really thinking (of you) when you place an order for a coffee? It usually is not a kind thought. Interesting that these days we all have our favourite barista with whom we think we get that special service. My barista showed me an article in The City Magazine (30 July). He said that it's all true. The article is shown below (with some formatting and typo changes). It’s worth a read. It will improve your understanding and enjoyment of coffee and raise your ranking with your favourite barista. What’s your barista really thinking on the other side of the counter? The City spoke to one who spilt the beans on what makes them steam up. Last night I visited an old friend, an old codger who lives nearby. Before continuing with the story, I think the term old codger is a wonderful Australian term for an older man. I won’t get into comparing dictionary definitions, but in my mind, old and codger must go together. You simply don’t say that he is a codger. He must be an old codger. Yeah, the dictionaries disagree, but I dispute their comprehension. This leads me to wonder why there are no young codgers. Codgers simply appear as old codgers. Also, I am curious that there is no female equivalent of an old codger. and August heralds the month of the SALA Festival. The City of Unley will again be supporting the SALA Festival. and that is everywhere across Unley. It has been coordinated by Unley’s five Main Street Traders Associations and is designed to put art in our shops, cafes and businesses. 120 artists will participate and 40 businesses have committed to display the art. If your local shop doesn't participate, then ask them why. Maybe they'll consider it next year. SALA on Show where everything on display is for sale. This year it will return to Unley Road and be held in the Soldiers Memorial Garden and in the nearby Unley Shopping Centre carpark. Be there on Sunday 24 August starting @ 10.30am to 5pm. There will be 631 items for sale. Take a leisurely time to browse what’s on offer. Can Unley Council in any way influence this proposal? No! Construction will commence after the Royal Show. Last night I was out door knocking Wayville residents about various local issues. I was unable to attend the annual event to celebrate the major recipients of Unley’s Community Grants. For more detail on this night of celebration, I refer you to Cr Don Palmer’s blog. Today is Friday and it’s Casual Day at work. It is customary to have a charity donation tin to collect for the privilege of wearing jeans and casual clothes to work. Earlier in the year, a female colleague visited Laos and was shocked by the stories about the impact of unexploded cluster bombs scattered across that country. During the Vietnam War, Laos became the most bombed country on the globe with the USA dropping (amongst other ordnance) 270 million cluster bombs on the country. Many remain unexploded. They continue to maim and kill. Often the result is loss of limbs. There has been a recent documentary about the efforts being made to find and destroy the cluster bombs. It has been estimated that at the current rate of progress due to a lack of substantial funding, it will take another 30-50 years. I have an enthusiasm for science and mathematics. I am intrigued by some science trivia and often surprised by the practical everyday outcomes. Fact: if you put a length of string or ear buds in your bag it will later emerge tangled and knotted. Every day I watch people struggled to de-knot their tangled iPod ear bud cables. Solution: simply join the ends of the string or cable to make a loop and place in your bag. Use a simple clip, maybe a hair clip. The string or cable will emerge untangled. Scientists have found that string spontaneously knots itself and the longer the string the more likely it is to happen. People have done serious study in this area. As the string gets longer, the probability of string knotting increases exponentially. If you have an unexplained rash or itch, then it may be due to use of a mobile device, in particular the iPad. Mobile devices contain nickel and that can irritate the skin. It is thought that the contact is from a surface coating that contains nickel. It is not life threatening, but it can be uncomfortable. Black Forest and Goodwood pies have been declared amongst the short list of best pies in Adelaide by Simon 'The Pieman' Wilkinson and the 'Taste' team ... see the article in Taste, The Advertiser 09 July. The Village Baker (in the Black Forest shopping centre) was the runner up ie. won the taste test for the 2nd best pie in Adelaide. Owner/chef Ben Sachse declares his braised lamb shank pie a 'big hit'. The price is $5.20. Another must try is Ben's Portuguese custard tarts and later in the year his Christmas puddings. Nearby in Goodwood, the Goodwood Bakehouse scored well with its steak and kidney pie priced at $4.60. The bakery has a reputation as a cake specialist. The Village Baker is closer to my home and I buy bread there, to avoid the traffic and parking issues at Goodwood. The Taste article came as no surprise. Back on 02 February I blogged about the merit of the Villager Baker. The Government is asking residents to tell them how often trains should stop at the about to be opened station at Millswood. I would have thought that the answer would be every train must stop. Below is an extract from a Government advertisement. I urge residents to contact AdelaideMetro and provide feedback. This October will mark the centenary of ANZAC. It was in October 1914 that the first convoy of Australian troops left Western Australia by ship to fight the war to end all wars. To this day, the ANZAC spirit lives on and remains relevant to our ever changing society (and its make-up). This year's Annual Hawke Lecture is titled Commemorating the ANZAC Centenary: Why is it Important for all Australians? It will be delivered by Air Chief Marshal Angus Houston ACAFC (Ret’d). He will reflect on the centenary of ANZAC and explain why it is so important to observe this time in history and just why does the ANZAC story and the values remain so central to what it means to be an Australian today and in the future? The centenary not only provides us with the opportunity to remember the service and sacrifice of our past and current servicemen and women, but it helps to unify our ever-changing nation. Here's a quote that has been gaining traction across the globe. This has been paraphrased from Enrique Penalosa, the former Mayor of Bogotá, Colombia. It's a profound statement and just so true. 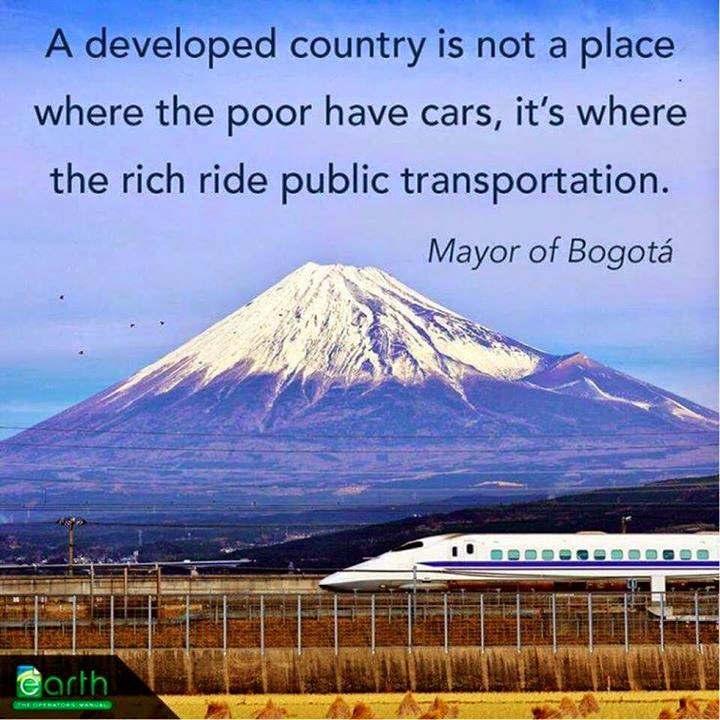 We must strive for a public transport system that will be preferred (over cars) and used by the majority of society, rich and poor (and those in-between). I was annoyed, very annoyed to learn that contaminated ground water had been found in Ashford, Keswick and Forestville. The EPA is continuing to sample the water and soil vapours. According to a press report, authorities have known about the contamination for years. If that is the case, then why the delay in alerting residents? The State Government will hold community meetings with residents. It is a sad legacy from heavy industrial pollution from past years. It is good news that repairs to the pedestrian and cycle path over Goodwood Subway will be complete this week. It will be open by next weekend. The forecast cost is $140,000. This will probably be shared 50/50 by Unley Council and the Transport Department. To make it complete, all we need is the re-opening of Millswood Station. Just a few months to wait ... a Spring opening. The other day I bought a copy of Nero2014 online. Sucked in by end of financial year specials! A key feature is a tool to recover deleted files on disk and USB sticks. That's what sealed the deal! Reading further about the offer, it also has a tool called SecurDisk 3.0 that enables you to burn critical data in a more durable and secure form on CDs, DVDs and Blu-ray disks. Sounds wonderful and it probably is. Only last week I had an old VHS tape of family memories converted to a DVD disk. I need to make a mental record to replace the DVDs in 5-10 years. If you're buying software online, then be patient and wait for the specials. Goodwood is becoming the new eating hub in Unley. So many new restaurants are emerging. So many I won't list them, but get on down and try them. The latest (to open in 1-2 months) is a Japanese Bar next to Ginger's. Sounds promising. Have you noticed that many people now start a sentence, usually in response to a question with the word so, followed by a pause. An example: Q. What do you think of this or that? A. So (pause) I feel that etc. Typically it is the older well educated 'youth' eg. 25-35 who start a sentence with so. I frequently hear it during TV interviews. But, who am I to complain? I remember when growing up, sentences were commonly ended with but. Or if you came from Queensland, you ended a sentence with hey (pronounced hay). I still drop one now and then. 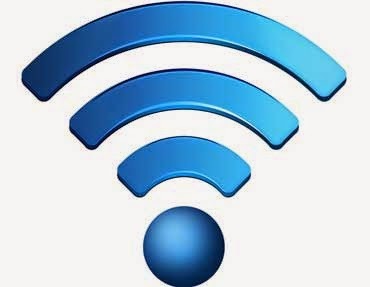 Free WiFi has been launched in the Adelaide CBD. Unley Council has considered how best to do it in Unley (without the limitless budget of Adelaide City Council) and that matter will be further discussed, probably be the new Council after the election in November. My thoughts on it are that the traders in Unley should be driving the free WiFi. They will be the prime beneficiaries. Visitors will stay longer and sip more coffee and shop longer. High speed WiFi can be accessed at more than 200 locations. AdelaideFree WiFi has now been launched and provides fast and free wireless coverage in public spaces across the CBD and parts of North Adelaide, making Adelaide one of the most connected cities in the world. Whether you are a worker, student, business, tourist or visitor, you can now access high speed WiFi at more than 200 locations.